Good Thursday morning Tampa and future Tampa residents! Welcome to the Tampa Movers of the year for nine years running, Big Boys Moving and Storage, blog. 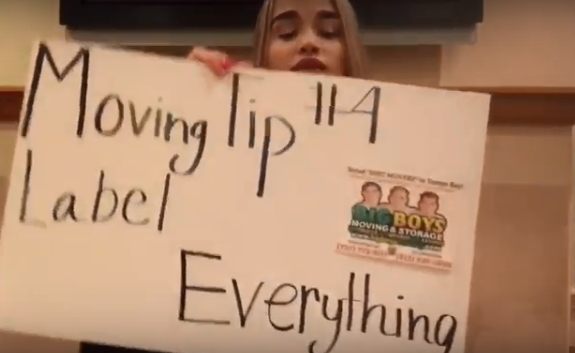 We’re here again with Sarah today for the fourth installment of our, “Moving Tip of the Day” segment in video format. Every one of our moving tips of the day is about 15 seconds long and they get straight to the point because we know that you’re busy, busy, busy getting ready for your move! Today’s moving tip is an important one because even if you pack your boxes according to rooms it’s going to do you no good if you don’t label each box! Not only won’t you know where boxes are supposed to go, but if you don’t note the contents of a box as well then you won’t know where to find specific items if you’re in a hurry to find them! 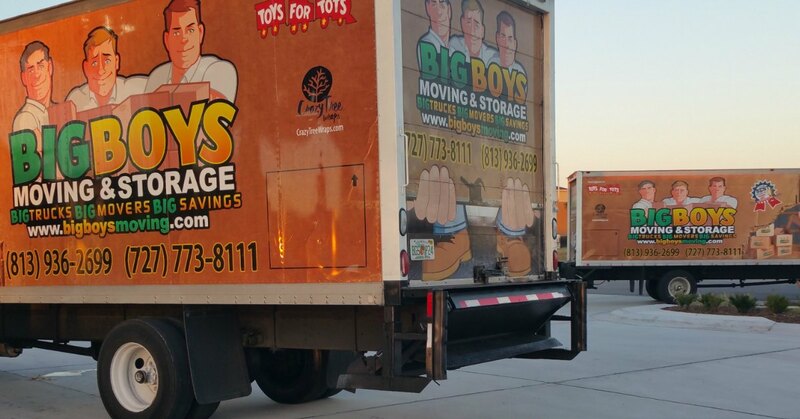 Big Boys Moving and Storage have long been the top moving company in Tampa Bay area, in fact, we have been voted Tampa’s best moving company by Kudzu customers utilizing moving companies within the area for nine years in a row! We are the most trusted moving company around and our client reviews speak for themselves! If you are getting ready to make a move or just trying to make a list of resources for a future move, consider connecting with us on Google or Facebook, where we have plenty more moving tips for you! If, on the other hand, you need help with your Tampa moving company needs now, give us a call at Big Boys Moving & Storage. Don’t forget to ask about our current special offers and save even more money on top of our affordable rates! Just dial 727-773-8111 or 813-936-2699 today and tell us how we can help to make your move a smooth and pleasant one!